23 Jul 2015 | C.C.I. 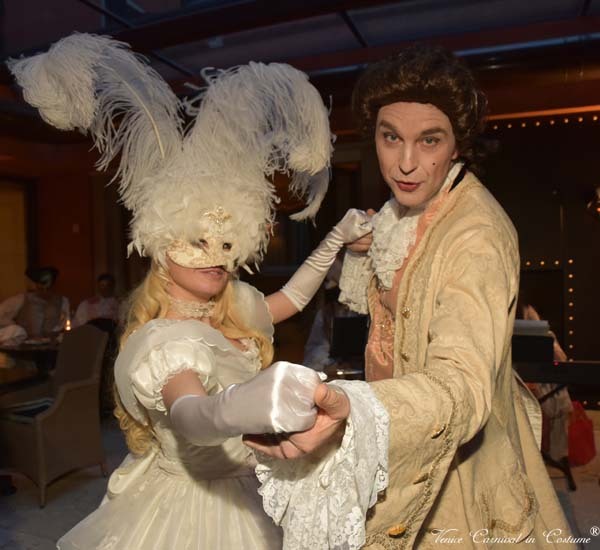 The sweet event of the Venice Carnival in Costume® held in the campiello (small square) – covered by a glass rooftop – of the hotel Splendid Venice. The guests will enjoy hot chocolate and Venetian biscuits in a festive atmosphere. A classical trio will accompany the Dance Master and his partner during their dance lesson. The guests will learn the basic steps of period dances and they will be able to replicate them easily.